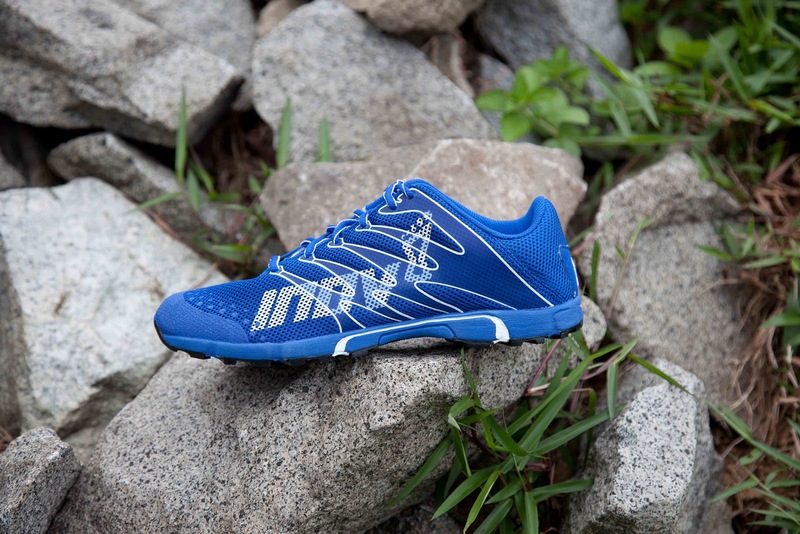 My brief review on the Inov8 F-Lite 230 was also in the December issue of August Man magazine, and I’d promised the lovely peeps at Inov8 Singapore that I’d post a more in-depth opinion on my blog, as well as my experiences with the Road-X 233 which I used at the 2011 Singapore Standard Chartered Marathon. It does seem like I’m reviewing a lot of shoes at the moment, but I’m fallen behind on updating my posts so now everything’s coming at once! 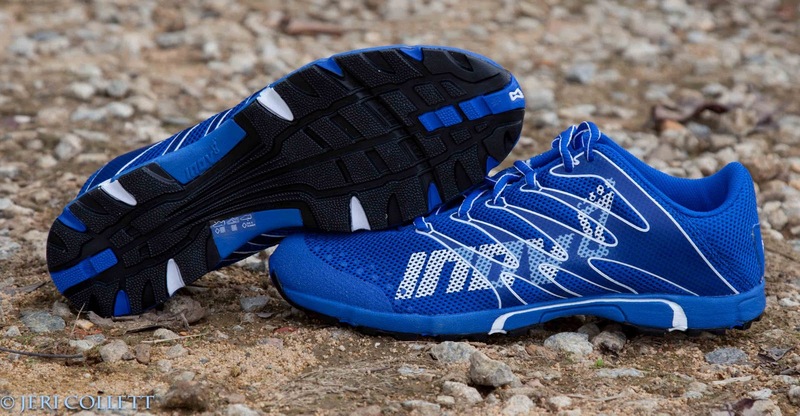 The F-Lite 230 is classed as a fitness shoe on the Inov8 website, though I’m not really sure why. It’s a 2-Arrow Shoc-zone, which is Inov8’s measurement system of how close to a natural running position (Zero-Arrow) the shoe is. It’s got a 6mm differential, so not quite barefoot running, but not far off. I’ve found I’m best with a minimal amount of cushioning and the 2-Arrow shoes suit my tastes. The advertised weight is 230g for a pair in size UK8, and therefore in my size they don’t amount to much weight at all. On my feet, they’re a sleek fit and feel ultralight. These come in a unisex sizing, but the performance fit suits my feet well and they lace up nice and snug in the midfoot area. I tried running sockless in these and they were chafe-free as Inov8 have made them velvety soft and seamless inside. No hot spots during my runs, not even without socks. The electric blue colour is easy on the eyes as well, its always an added boost when the shoes look good! The tread on the 230s doesn’t seem particularly aggressive, but I know from my older Inov8s (Flyroc & X-Talon) that the sticky rubber outsole is surprisingly grippy on all sorts of off-road terrain. When I trialled these, it was a pretty wet few weeks and so I had a good chance to get down and dirty with them .. I reckon trail shoes always look better with a little mud on them. Out on the trails, the sticky rubber outsole made up for the less aggressive tread, and gave good traction on wet and muddy sections. With the low profile and aerated mesh upper, it felt like a natural racing flat just begging to go fast. On medium and long runs, the 230s provided a decent amount of cushioning and stability for the Macritchie trails in both wet and dry conditions, but I’m not sure how they’d fare on a more aggressive trails. My connecting run from home to the trail (about 3km) is on concrete pavement and tarmac, and it felt like I had a pair of road racers on. Bottom line? The F-Lite 230s are a bit of a speed demon on both tarmac and hard-packed trail. They work well on both surfaces and would be perfect for breaking the speed limit as a mixed-terrain racer.